Written and reported on back on this day in 2015, oh what could have been. Enjoy. 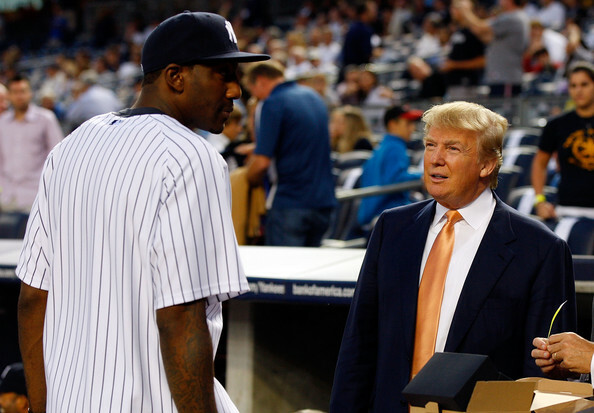 According to recent reports Donald Trump, the billionaire businessman and Republican Party Presidential hopeful, wants to own the New York Yankees. Trump grew up in New York City and made his millions in the greatest state, in my humble opinion, in the United States and would like to return there if he could land an ownership role in any sports team. George Steinbrenner and Trump were known associates, business partners and friends and the similarities don’t stop there. Heads would roll when the team didn’t make the postseason in two consecutive years and player contracts would be eaten when they were no longer useful. Trump would own, run and manage the team like the $3.5 billion powerhouse that it is. Trump would do is smart though, in my opinion. He wouldn’t be a tyrant, he would just do whatever was necessary to turn a profit. Trump understands the added revenue, attendance, merchandise sales and the growth to the brand that comes with the playoffs and would basically demand that the team make it there every season. He would also give Brian Cashman the power he had from 1998-2009 along with a blank check. Trump was just asked a question and he answered it, he isn’t seriously considering making a run at buying the team and there is no speculation that the Steinbrenner family is interested in selling. This is the offseason and it’s time to dream and that’s what I did with this article, hopefully it’s taken that way by the reader. Enjoy as we dream about the return of the GREEDY Pinstripes.